RSD Trucking partnered with Norwich Solar Technologies of White River Junction, Vermont, to install a 500-kilowatt AC, Net-Metered Photovoltaic (PV) System on their facility in Hartford, Vermont. By leasing their unused roof – a flat, expansive space with prime solar exposure and orientation – they were able to obtain a passive income stream for their business while providing a home for solar that will benefit local customers with no space of their own for a solar array. The expansive solar photovoltaic (PV) system will provide The Town of Woodstock, Vermont, and Washington County Mental Health Services (WCMHS) in Barre, Vermont long-term energy cost reduction and price stability through the integration of clean, rooftop solar electricity that doesn’t require the use of open fields or land clearing. The design also utilizes a ballasted mount system which sits on the surface only, not penetrating the flat membrane roof as well as offering protection from UV damage. 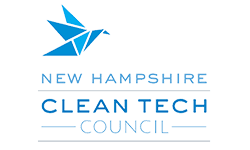 Norwich Solar Technologies provided complete services for the project including permitting, site analysis, engineering, procurement, construction and long-term maintenance of the system. In addition to long-term energy savings to Woodstock and WCMHS, the solar array will produce the environmental benefits of offsetting the equivalent of 3,793,110 lbs. of CO2 over its warranted 25-year lifespan.